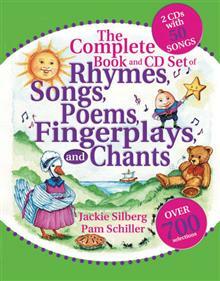 Children's poetry, American., Nursery rhymes., Children's poetry, English. 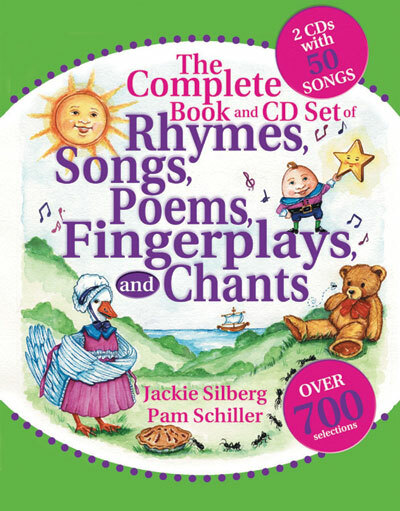 Emerging research indicates that early exposure to songs, poems, rhymes and fingerplays enhances the structure and capacity of the areas of the brain which lay the foundation for future reading. Since the size of a child's vocabulary and its ability to discriminate sounds are two of the best predictors of reading readiness, it only makes sense that we use every opportunity to enrich the language environment with rhythm and rhyme. Jackie Silberg is an early childhood advocate and popular keynote speaker nationally and internationally. She received the Distinquished Alumna Award from Emporia State University, recognizing her current achievements as well as her long and prolific career. Jackie lectures at Johnson County Community College. Pam Schiller, Ph.D., is an early childhood author, consultant, and highly sought after speaker. She has written numerous articles for early childhood journals, including Child Care Information Exchange and Texas Child Care Quarterly. Pam is the author of five early childhood curriculums, eleven children's books and more than 30 teacher and parent resource books.